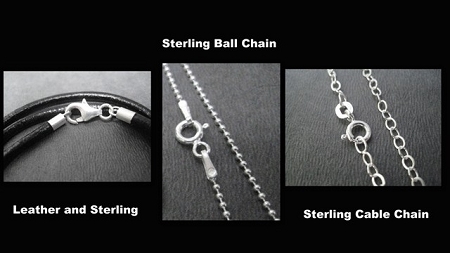 The DISTANCE Round Pewter Pendant on Sterling Silver Ball Chain Necklace is a great way to celebrate YOUR DISTANCE! 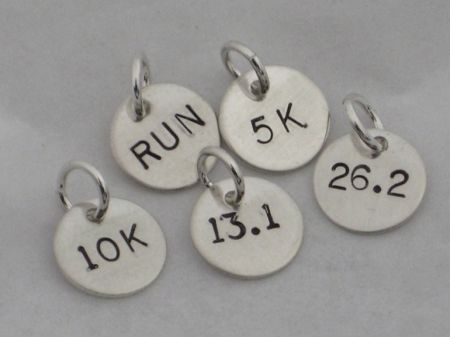 5K, 10K, 13.1, 26.2 or even XC or RUNNER GIRL! 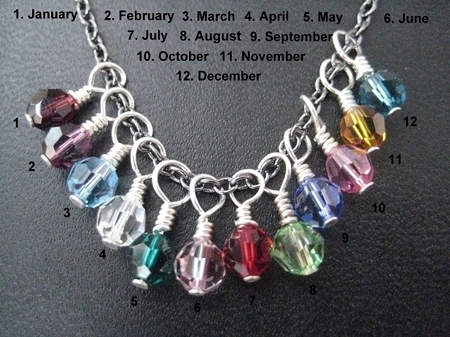 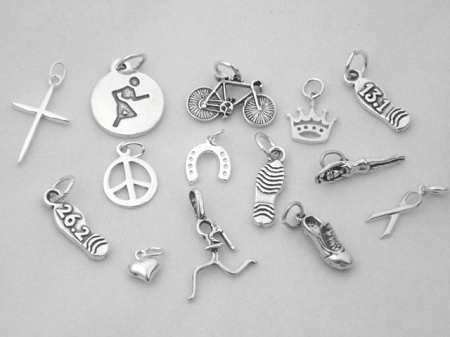 Perfect as a gift for yourself or for your running buddies! 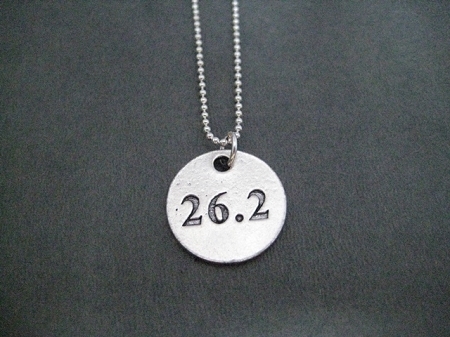 Simply stated and only available at The Run Home, the Pewter DISTANCE Pendant measures 3/4 Inch Round. 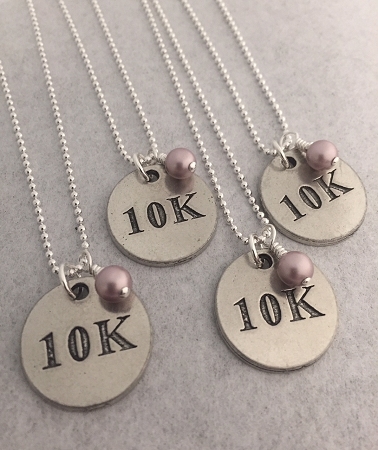 Choose to add an additional Pewter Round Pendant, a Sterling Silver Wrapped Swarovski Crystal or Pearl, a Sterling Silver Charm, a Sterling Silver Initial or a Sterling Silver 1/4 x 1 inch Custom Name, Date, Race or Word Pendant - Up to 9 Characters Only.